It's perfectly natural to want to cringe at the mere thought of a Night of the Living Dead remake — one shot in full color no less — but hear me out: Tom Savini's 1990 version of Night of the Living Dead does a respectable job of reworking George Romero's 1968 classic to a fit more modern archetype. Well-known for his make-up effects (on films such as Friday the 13th and Romero's own Dawn of the Dead), Savini understandably leans toward a more visceral revision to the already ghastly classic. It is ironic (though likely purposeful) that Savini should choose this project for his directorial debut when it was Romero's own debut 22-years earlier; similarities between the two projects are difficult to ignore, but Savini never tries to imitate his predecessor. Savini's Night of the Living Dead is meant to honor a classic and it does just that in a very entertaining way. You know how this goes: Barbara (Patricia Tallman) and her brother Johnny (Bill Moseley, Texas Chainsaw Massacre 2) are visiting their mother's grave when a distressed man attacks, killing Johnny and sending Barbara fleeing to a nearby farmhouse. Once there she meets up with Ben (Tony Todd, Candyman), who has come seeking shelter from the onslaught of... whatever these people are that lurk outside and crave human flesh. More survivors emerge from the farmhouse's cellar: Harry Cooper (Tom Towles, Henry: Portrait of a Serial Killer), his wife, Helen (McKee Anderson) as well as Tom (William Butler, Texas Chainsaw Massacre 3) and his girlfriend Judy Rose (Katie Finneran). Instead of working together, the survivors bicker over whether to reinforce the farmhouse doors and stay put or make a break for a nearby gas pump. As the night wears on, however, the survivors dwindle in numbers and the choice becomes clear: survive by any means necessary. Given how closely this Night of the Living Dead echoes the events of its predecessor, it should come as no surprise to learn that Romero himself is the credited screenwriter. It is wise of Romero to rewrite a few of his original characters differently for the remake, not just to provide a fresh and entertaining take on the previously-worn material but to adapt to modern audiences' tastes during a time in which action heroes dominate the silver screen. No change is more evident (or successful) than the one to Barbara, rewritten here as a take-charge woman capable of handling a rifle and holding her own. Showdowns with the undead ghouls become more thrilling as a result, with Barbara unflinchingly putting a few bullets between the eyes of the intruders. This is not the Barbara that would suggest running out and saving her brother Johnny. However, other character changes do not go over as well. Harry Cooper, for instance, stands out as being an over-the-top villain, not the developed antagonist that he was in the original. His arguments with Ben here are so overly fervent that they are borderline comical and whether or not that was Savini's intention is unclear. Romero supplies Cooper with insults like, "lamebrains!" and "yo-yos!" that do not help the situation either. It almost becomes self-parody. Similarly, Tom and Judy Rose's triumphant flee to the gas pump becomes a hands-thrown-up-in-frustration moment when Tom decides to shoot the lock off the pump. How these two had the common sense to make it to the cellar in the farmhouse is a real head-scratcher. If there's one area where the film truly falters, however, it is that its characters wavering actions never successfully convey a true sense of urgency. There is no rush in securing the farmhouse when Ben first arrives; it is not until after he has spoken with Barbara at great length and disposed of the intruders outside that Ben even checks the upstairs of the house. In fact, none of the characters explore the farmhouse until the finale when one survivor discovers an attic that could have saved the rest of the group a lot of time and bickering about whether or not the cellar or the living room were the most secure. There's an ample amount of talking and arguing through the film where boarding up and securing are needed instead. Once the survivors do start securing the farmhouse, that's when the undead begin their attack. It's as if the creatures have to attack in waves. It is when these creatures do attack that the film shows its gruesome and most exceptional side. Savini's talent for creating garishly disgusting ghouls is no secret and his team of make-up artists on Night of the Living Dead (most of whom he also worked with on Two Evil Eyes that same year) have more than lived up to the legacy of their director. Shooting in full-color allows Savini to show off these macabre masterpieces, from their sickeningly yellow complexion to each blood-dripping contusion. It is spectacularly horrifying when one of these creeps makes its appearance on screen. Savini's version also offers an array of effective scare scenes that call upon the original film but utilize effects that were unavailable to Romero at the time of filming. We're all familiar with how Barbara discovers of the owner of the farmhouse in the original film. Here that scene starts with a hand gradually creeping over the side of a banister from upstairs, almost reaching out for help, until it falls and reveals itself to be a severed hand right in Barbara's lap. There is also a clever nod to Romero in the scene in which Helen Cooper's undead daughter kills her, not as she did in the original but in a more savage way, and Helen's blood splatters across a trowel sitting on the wall. These classic scenes are iconic in the Romero version and through Savini's direction they're given a proper (though edgier) honoring. Romero films are going to be remade, imitated, parodied, and regurgitated until the end of time. There's no doubt about that. Night of the Living Dead has been reworked the most and for proper reason: it's the best of Romero's offerings. Savini's Night of the Living Dead is the best of the Romero remakes so far because it keeps the fundamentals of the original close by rather than attempt to stray in a new direction (as Night of the Living Dead 3D did to disastrous results). 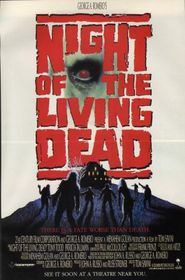 Benefitting heavily from having a Romero script, a director that knows his gore, and well-crafted creatures that rival even the zombies of this current generation, Night of the Living Dead is worth a retread through the graveyard that started it all. They're coming to get you, Barbara! Submitted by nvadr on Thu, 2011-03-10 20:22. The Effects in Savini's Night of the Living Dead were superior, but did it capture the dread and sense of helplessness that the original so successfully projected onto the big screen.. 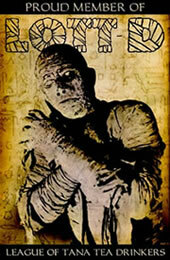 I would say it fell short in many areas, mainly due to the irregularities of its main characters. Barbara (Patricia Tallman) went from Bambi to Rambo in about 30 minutes. (Tom Towles) was a perfect example of misinterpetation and over-dramatization of a character, as Harry Cooper, with illogical & just plain hammy over-the-top bursts of emotions that one would find in a 5 year old throwing a tantrum. Ben (Tony Todd) gave a decent performance and outclassed the other players, dare I say as good as, Duane Jones? Todd was well suited for the role, and was the only shining light in an otherwise dismal cast. Tom Savini is a very good director and it shows in this film, with a very good eye for angles and shots that capture the action with some scenes that will have you jumping in your seat, he really is suited for direction, which I am sure he learned many things while working as the effects, costume manager under Romero. The Gore Effects were not typical Savini, these were way better than what I had seen in the past, with Savini graduating from a B-movie effects guy to an effects master technician. These were not your hokey Dawn of the Dead, obvious low grade, cheaply made effects, they were top of the line and very impressive. Savini's Night of the Living Dead stands on its own merits and I consider it to be a remake to admire, just for the fact this was Savini's first directing debut, but just like in past efforts as effects guy, Tom put his heart into it and gave it his all. Submitted by Will E. (not verified) on Tue, 2011-03-15 13:12. Haven't seen this since literally its opening night! But I recall liking it and felt it did justice to the original. I've also read one of the main reasons for the remake was so Romero could retain copyright on the material, which he'd lost when the original film came out, thru' some effed up business oversight or another. I'd like to see it again, and I wonder if it could surpass the opening 10 or 15 minutes of 2004 Dawn of the Dead remake, which for my money is one of the most awesome zombie spectacles ever. Submitted by John Dubrawa on Tue, 2011-03-15 14:18. I may have to go back and check out the 2004 Dawn of the Dead because when I saw it in theaters, I was left quite unimpressed. But I constantly see it cited as one of the best Romero remakes out there, so maybe I missed something. Submitted by David R (not verified) on Sun, 2011-03-20 21:59. I liked the remake but prefer the original. I got in to the story more in the original.